Yes likely a huge seller, and I'll have to get the retail books as well I think. 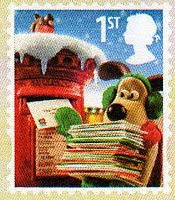 Sorry just an addenum on the last post - I think the last four issues have been really nice by Royal Mail --> railways, medical breakthroughs, pooh and Christmas - lets hope the good work continues into 2011! 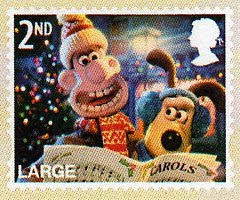 Given the volumes printed, it makes sense to produce Christmas stamps - at least the 1st & 2nd class and the Large equivalents - in normal definitive size. It also means that the booklets are the same size as normal, which cuts down on production costs and means that they can be displayed at the usual retail outlets like supermarkets. But I suppose the airmail values could have been larger. 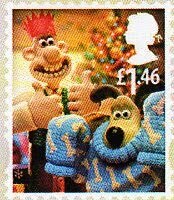 One of the few saving graces of Royal Mail's ever-more-prolific stamp issuing policy was that it had not stooped so low as to feature cartoon characters, as the USPS has for many years. 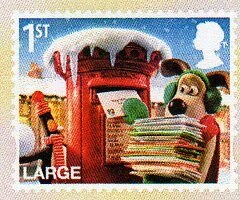 Well Larry, we had 'Father Christmas' by Raymond Briggs in 2004, on Children's TV (1996) we had Stingray & Muffin the Mule (puppets), the Clangers*, Dangermouse (cartoon), Sooty (glove puppet). The joint issue with the US had book illustrations some of which had also made it to animation (Paddington Bear), and of course we have Winnie-the-Pooh next month. * Like W & G, The Clangers were a stop motion animated children's television show. Actually, I think you can say that virtually anything that RM comes up with - whether subject or process - they have done it before. I say 'virtualy' because next year there will be at least one more innovation, at least as far as GB stamps are concerned. 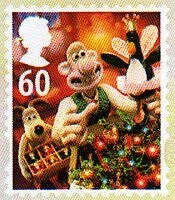 Speaking of innovation, what did you think of the "intelligent" feature of the Great British Railway stamps? I was underwhelmed, but it might be just a first step to something more rewarding. Well Larry, I don;t have a smartphone, but they seem to be the way of the future. 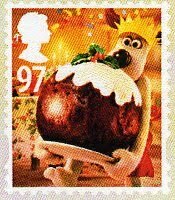 There is nothing on or sold with the stamps to indicate that the image-recognition app would generate a video, so I'm not sure how anybody finding one of these stamps would know about it. 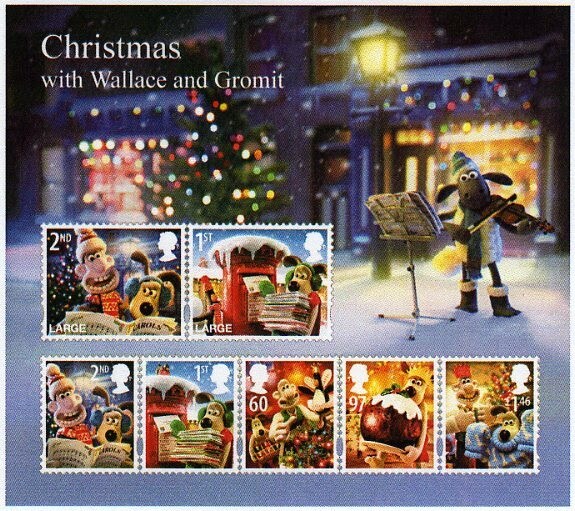 I think that given how moribund Christmas stamps can be, for me this set is exciting. They're nice but a bit lazy. It can't take much effort to just take existing W&G images and make them postage stamp sized. 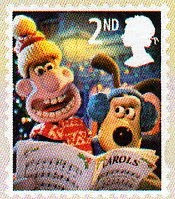 As for the Intelligent Stamps thing, I think they must have given up on it already, because I downloaded the junaio app to my iphone and tried it with the appropriate stamps, but nothing happens, and there's no mention of it on the developer's site as far as I can see. @Ian I'm fairly sure they are specially commissioned scenes for the designs, rather than existing images. @Ian - John I correct, see extract from our webpage now added above in blue.